Our volunteers are one of the most vital parts of the charity, generously donating their time and energy. If you would like to be involved in our work, there are lots of ways your help can really make a difference and we would love to hear from you. Please click here to fill out our volunteer form. We run regular re-homing days at pop-up points across the country. As well as assisting with hens on the day, we are keen to hear from people who can provide towing facilities for hen transport, and carers to help with the occasional hen who is not fit enough to be re-homed immediately. If you are interested in volunteering and/or have facilities such as a covered barn or stables with a parking area, we would be very interested in hearing from you. To find out more about what being a BHWT volunteer is like, click here. 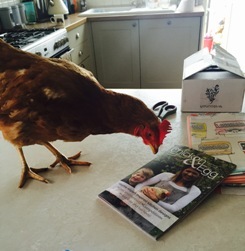 If you’re a business or have a premises which is open to the public, displaying a poster, our magazine or some leaflets can really help spread the word on how wonderful our hens are, and get people who don’t keep hens thinking about the products in their weekly shop. 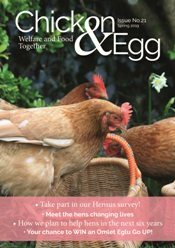 It all helps make a difference to the lives of thousands of hens and increases awareness of the work of the charity. If you would like to find out more please phone us on 01884 860084 or email us info@bhwt.co.uk.